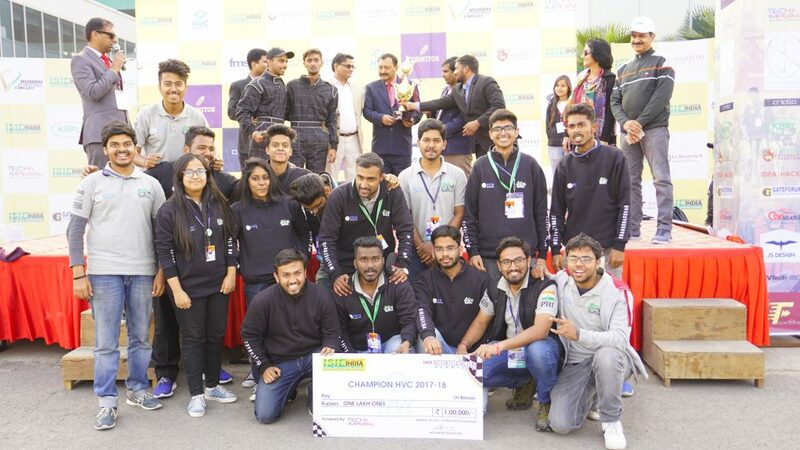 TEAM ARVANS FROM MANGALORE INSTITUTE OF TECHNOLOGY WON THE TITLE OF 5th ISIE-HVC CHAMPION. 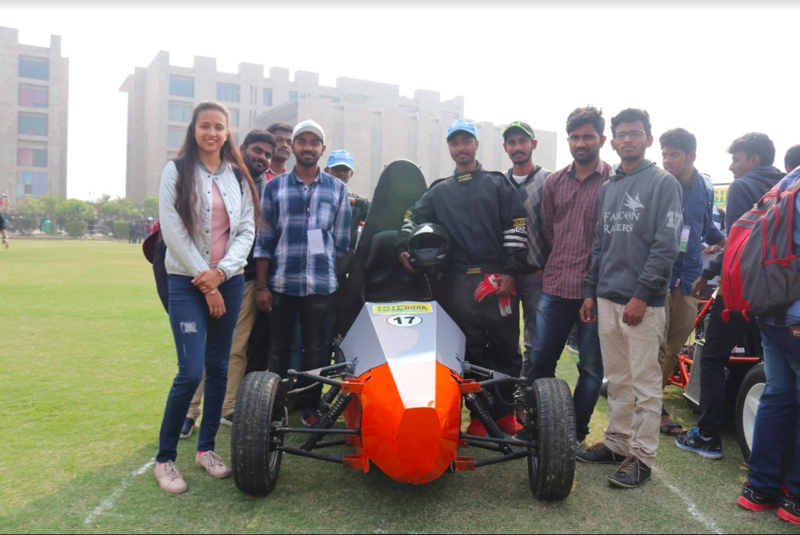 TEAM FALCON RACERS FROM RVR & JS COLLEGE OF ENGINEERING, GUNTUR GOT 1ST RANK IN ELECTRIC CATEGORY OF ISIE-HVC. RVR & JC COLLEGE OF ENGINEERING,CHANDRAMOULIPURAM, GUNTUR. MANGALORE INSTITUTE OF TECHNOLOGY, MANGALORE. RVR & JC COLLEGE OF ENGINEERING, CHANDRAMOULIPURAM, GUNTUR. KL UNIVERSITY, VIJAYAWADA, ANDHRA PRADESH. R.M.K. COLLEGE OF ENGINEERING AND TECHNOLOGY, THIRUVALLUR, TAMILNADU. POORNIMA COLLEGE OF ENGINEERING, SITAPUR, JAIPUR, RAJASTHAN. PANIMALAR INSTITUTE OF TECHNOLOGY, CHENNAI. 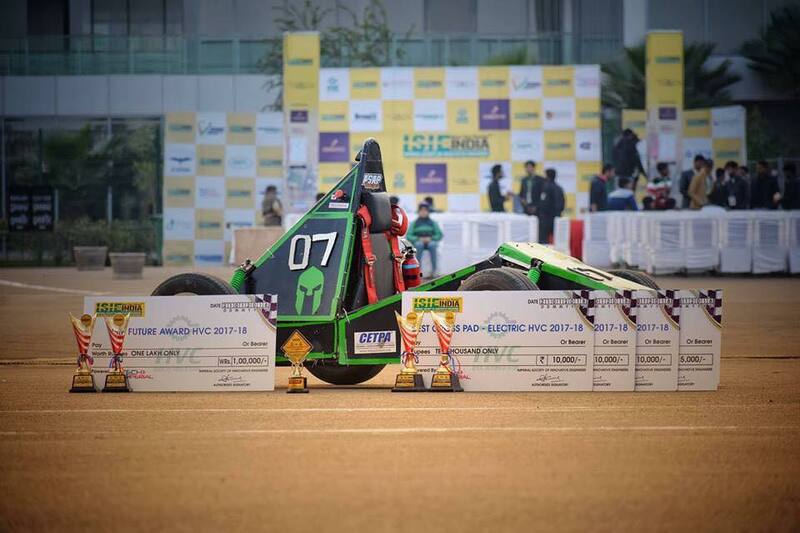 TEAM 1.618 from SRM University, Chennai, Tamil Nadu won the title of 4th ISIE-HVC Champion. 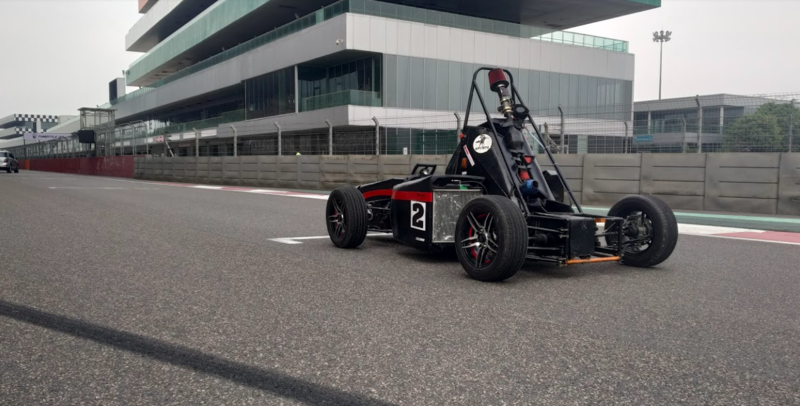 TEAM Octavious from JSS Academy of Technical Education, Noida UP got 1st Rank in Electric Category of ISIE-HVC. 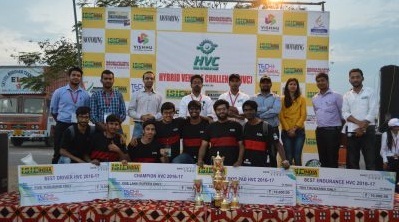 TEAM Uttejit from VIT University, Vellore,Tamil Nadu won the title of 3rd ISIE-HVC Champion. 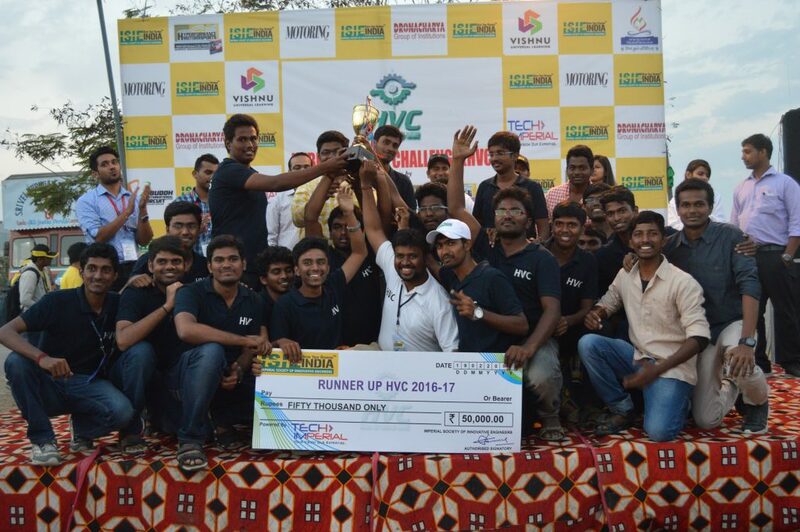 Team Gunners from Bannari Amman Institute of Technology, Erode, TN won the Title of 3rd ISIE-HVC Runner Up.